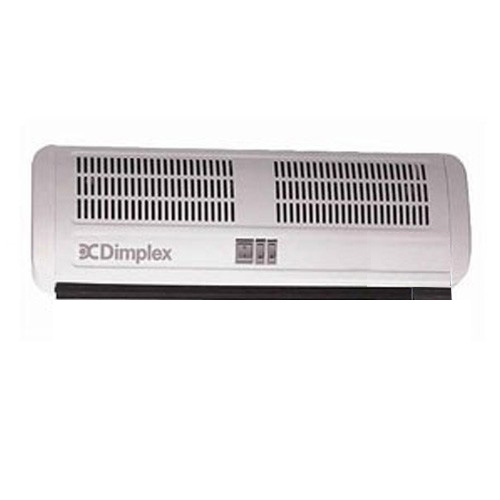 The Dimplex 4.5kW Air Curtain Heater with 2 Heat Settings provides multi-directional, powerful and effective heating above small entrances and is ideal for shop, office or factory environments. The warm airflow encourages trade by allowing doors to remain open and is ideal for any situation where a high-level fan heater is required. It has adjustable airflow direction and uses high power tangential blower units and effective wire stitched elements. Twin heat settings and fan only mode help match output to changing heating demands. Please note: this item does not include cable and is designed for permanent connection to the fixed wiring of the premises through an adjacent double pole switch or conduit connection. Simple and easy to install unit. New curved styling for modern interiors. Can be used as a high-level fan heater. Needed a heater about the shop entrance door and this was what was recommended to me by the electrian. Ordered Monday, Received Tuesday! Super product too! Thanks for asking me to review this, i dont normally do reviews but if something works as well as this i dont mind doing a little bit of typing. i have another heater which is a plumbed over door heater and it take a few minutes to get hot.